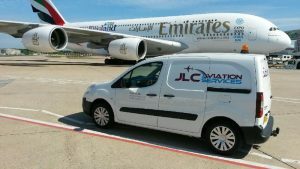 The JLC Group companies are regular suppliers to London Gatwick, London Heathrow and London City Airport, plus many other regional airports. JLC Aviation Services provides a comprehensive supply and support service for operators of fixed and mobile aviation ground power units (GPUs). Experienced and knowledgeable engineers can help ensure your GPU equipment is maintained at peak performance and also offers training programmes and technical advice regarding any make of GPU. 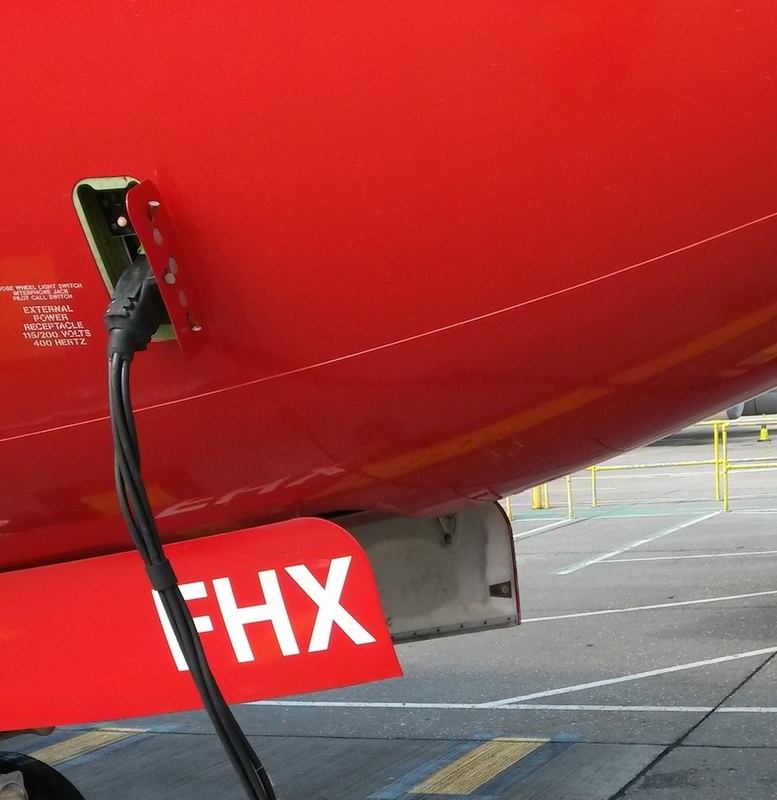 JLC Aviation is one of the principal providers in the UK to support ground power units manufactured by Houchin Aerospace, part of the ITW GSE Group of companies. In addition, JLC provides support services to other key GPU manufacturers, including Hobart and Axa. JLC Aviation Services has a three-year contract with London Gatwick to supply and maintain the crocodiles, cables and connectors used to conduct power to aircraft that are being prepared for departure. The company’s growing list of prestigious clients also includes the London Airports of Heathrow and London City for fixed electrical ground power services and British Airways and the TCR Group for mobile electrical ground power services. JLC Automation Services is a specialist supplier and installer of automation systems, working all over the UK providing and installing the best automation equipment from suppliers around the world. 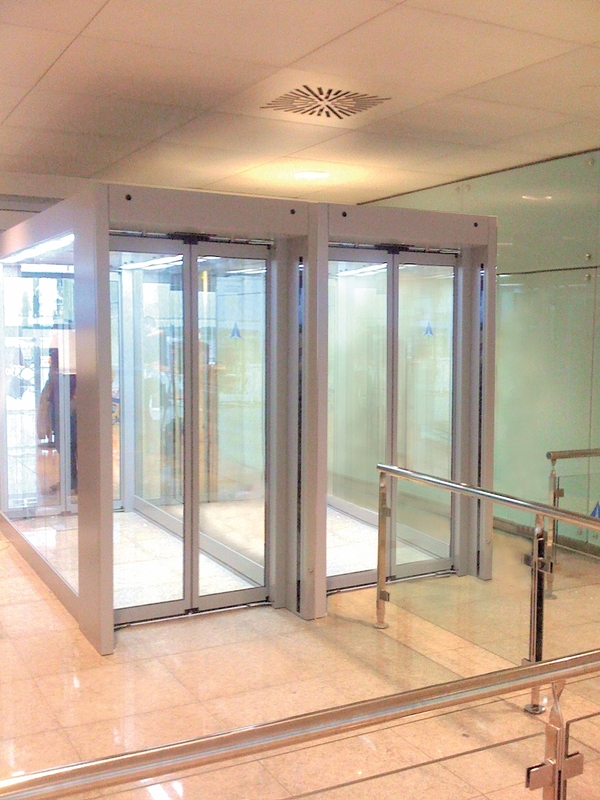 The company offers the Manusa range of anti-walk back security systems, access control gates and barriers, plus has the ability to bespoke design automated systems for airport terminals and operations buildings. JLC Automation is a preferred supplier to Gatwick Airport and is contracted to service, maintain and repair all of the airport’s automatic doors. The company was named Supplier of the Year to London Gatwick in 2014 and received its EBITDA award for cost reduction initiatives in 2015. Comprehensively trained by the manufacturers, JLC Aviation’s technical team can assist with the supply and support for all brands of fixed and mobile GPUs, including Hobart, Axa, and Houchin. JLC Aviation provides a comprehensive range of ground power unit servicing and maintenance packages for all types of GPU equipment, ensuring the equipment is always operating reliably, efficiently and safely. The maintenance programmes include inspection, repairs and remedial work, plus the provision of replacement cables, connectors and spare parts. To minimise the downtime in operation, a GPU service can be carried out on-site by JLC Aviation’s experienced and fully trained team of service engineers. With over 100 years combined experience in the provision and operation of GPUs, the JLC Aviation technical support team is able to offer up to date GPU advice and information, across a wide range of manufacturers and applications, whether for a fixed or mobile electrical ground power unit. Thorough training maximises the efficiency and safety of the equipment’s performance by ensuring GPU operators are familiar with the basic principles of operation, as well as the required safety standards and considerations. Delivered by JLC Aviation’s knowledgeable and experienced technical team, training is undertaken on-site and combines practical hand-on experience with theoretical modules. JLC Aviation stocks a comprehensive range of high quality, robust and versatile GPU spare parts and accessories from key manufacturers, and is an approved UK distributor for global GPU connectors supplier Anderson Airmotive. JLC Aviation has also developed in-house, its own branded aircraft cables, cable carriers and cable harnesses. The JLC FEGP (fixed electrical ground power) cables have been designed to be more robust and durable than other aviation cables currently available. They are ideal for use on ground power cable carriers (crocodiles) retaining high flexibility even under the influence of ozone, light, oxygen, protective gases, oil and petrol. Able to support and provide spares for existing Houchin crocodiles, JLC Aviation has also developed its own branded cable carrier that can utilise the same range of parts and spares. JLC Automation Services supplies, installs and maintains automated entrance systems, including doors, barriers and gates, that offer ease of use and access control, without compromising security. Working with its supplier partner, Manusa, JLC Automation offers the Touran range of one-way security corridors (also known as anti-walk back systems) which has been specifically designed to only allow one-way pedestrian access or egress, particularly to secure areas, such as those at airports. The most important feature is the two interlocked doors that open automatically in the direction of traffic but, in the event of any movement in the opposite direction, the alarm will activate and the automatic security door will close and lock, preventing unauthorised movement. JLC Automation also supplies and installs the Manusa Express Gate, an access control corridor that provides an adaptable solution for any secure access requirement, always giving priority to the safety of users and the protection of the premises. Incorporating quality materials, the access control corridor consists of an elegant gate unit which JLC Automation can fully customised to the requirements of each project to ensure high reliability, quiet operation, low maintenance and efficient energy consumption. Our blast-enhanced sliding door system combines the key properties required for blast protection with aesthetically pleasing and spacious design of any entrance door system, allowing for high levels of blast protection whilst maintaining the appearance of the building entrance or facade. In line with the ever growing international demand for blast enhanced products, the detailed design of our blast enhanced sliding doors meet blast-mitigating standards in new and improved ways. Various design choices & technical options available. 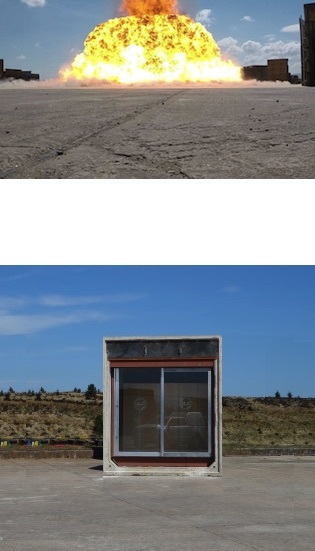 Doors able to be manually operated with ease following a blast – allowing for emergency services to enter and/or peoples to avoid being trapped. Our product development and testing is carried out in accordance with the most demanding standards. The EXV25 / 100Kg TNT blast is designed to replicate a car bomb with a peak reflected pressure of 80kPa. You can gauge the magnitude of the blast in our video from the test. Our design also includes additional features to aid in ensuring life and property remains sufficiently protected. Combining enhanced robust sliding door operators with a highly reinforced aluminium door system, our unique design allows for maximum clear opening sizes beyond the capacity of any other comparable system. Additionally the increased weight of the enhanced door system does not hamper the efficiency or reliability of the operator. View the real-time performance of our door system. The design specification and practical build of the sliding door systems means that when subject to a blast, the entire profile has a large amount of flex preventing the fracture of glass and warping of the profile. The full performance of the door system can be seen in 2000 fps.